On a day with big tides in between the shellfish pickers and the curious, you might have seen us on the rocks exposed by the retreating waters. With our notebooks, cooler and camera in hand we set about observing the richness of the environment. On a day with big tides in between the shellfish pickers and the curious, you might have seen us on the rocks exposed by the retreating waters. With our notebooks, cooler and camera in hand we set about observing the richness of the environment. Is there a better way to understand and survey the species of seaweed than going out and getting them? We decided that there is not. 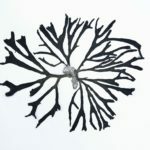 With that idea in mind, we set out to start the Laboratoires of Biarritz Seaweed Collection. In this way, we can explore their future use in our products. 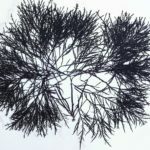 What kind of seaweed collection? Ours is a kind of herbarium, that is to say a collection of specimens identified as precisely as possible and classed according to very specific criteria. 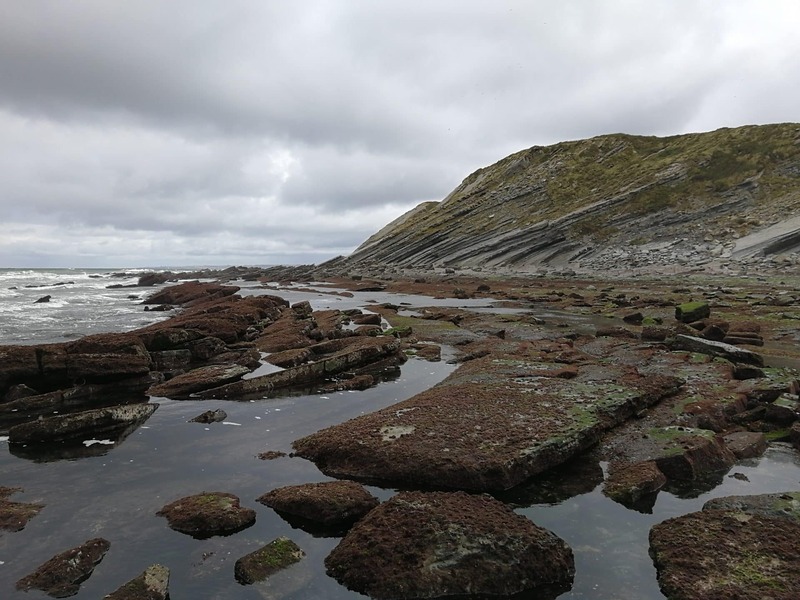 A seaweed collection enables surveying and following the presence of species in a given area. To do so, biological samples are taken in the field and carefully preserved by a system of drying on special paper in order to be kept for a lifetime. For this first outing, we choose the Viviers Basques (literally Basque Fishponds), along the cliffs in between the coastal towns of Saint Jean de Luz and Hendaye. On and in between the layers of rock exposed by the especially low spring tide we were able to see the many species that live in the intertidal zone. Seaweed carpeted almost every available inch. Right away we saw the calcareous red algae Corallina officinalis, dense low tufts of red algae, and elegant fronds of Gelidium. Small (and not so small!) hermit crabs grouped up on the soft encrusting Codium, everywhere we looked crabs hid under loose stones, sea anemones tried to fight out a place, and tiny shrimp enjoyed the temporary absence of big predators in their tide pools. Despite all of these amusing distractions, we quickly filled our cooler with representative specimens. 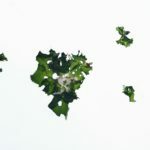 Back in the lab, we preserved the seaweed according to a protocol developed by the phycologists of the Muséum de Paris. 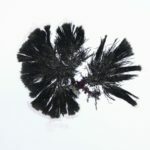 Here are a few samples from our collection after a week of drying. 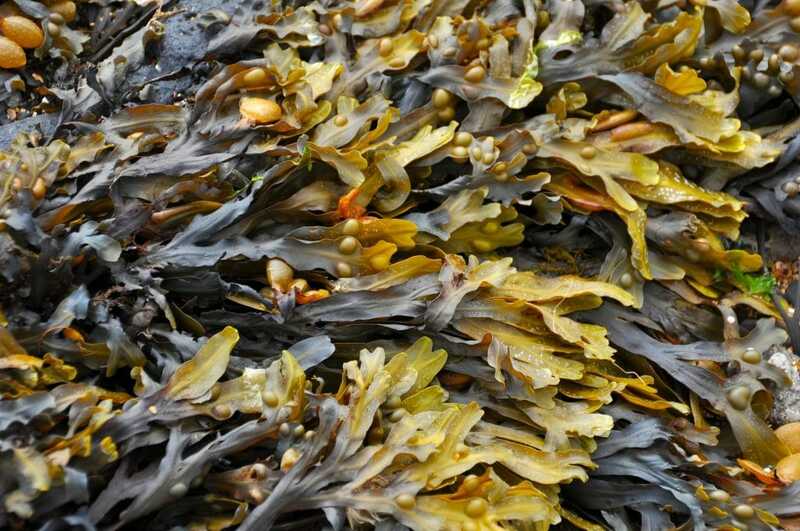 Ulva lactuca: the seaweeds of this genus are difficult to identify with the naked eye, going so far requiring a microscope or even molecular tools to distinguish between the different species! 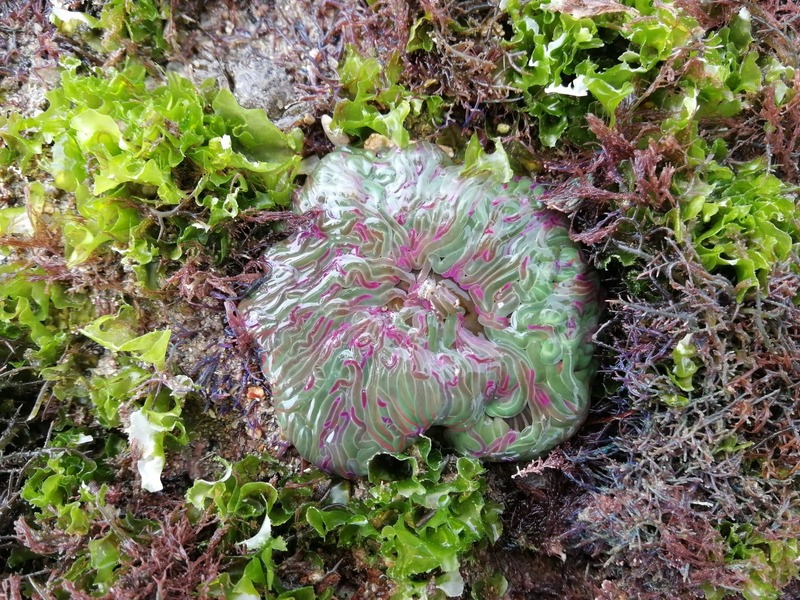 Codium tomentosum: this species is present along most of the European coastline. Like the other species in the genus, it is soft, velvety and spongy to the touch. 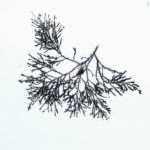 Cystoseira tamariscifolia: a delicate and beautiful seaweed, it is one of the defining brown seaweeds of the Basque Coastline. Some specimens are electric blue, a color that is due to the presence of nanoscale structures. Stypocaulon scoparium: a low-lying bushy species. Seemingly well appreciated by small crustaceans, which we found in abundance on our samples. Gelidium sesquipedale : the dominant and characteristic species of the Basque Coastline. Our favorite, as our research began on this agarophyte. Plocamium cartilagineum: this delicate red species is a common epiphyte of G. sesquipedale (you can see a bit of thallus of it on this plate). 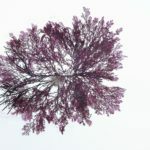 If you want to read more about the color of seaweeds, check out our article here. Please remember to recycle your packaging!